Encompassing arts, dance, Pro Shows, and a lot more, one of South India's largest cultural festivals is back to entertain. The annual cultural fest of NIT Trichy is scheduled to happen from the 13th to 16th of September. 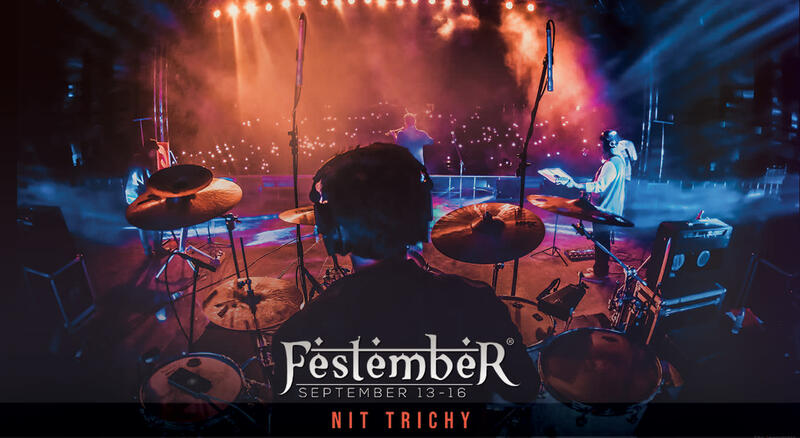 Featuring the likes of famed actress Nithya Menen, progressive fusion band The Pineapple Express, singer Karthik and many more, Festember is all set to host a stellar show. Themed, "An Arabian Odyssey", the inter-collegiate fest is all set to go.